I’m a huge fan of Linux but I’ve been know to dabble with Windows and Mac environments. Let’s face it, all the good games are on Windows! I’m a regular Linux user, so I’m not afraid to work on the command line and tackle a problem. I enjoy the terminal and find the challenge of finding a problem and creating a solution to be as enjoyable as playing the new Zelda game on the Switch! I have a lot of experience managing Linux, Windows, and Mac servers. I am a fan of CentOS for server environments but am also aware that technologies work better in the proper environment. I enjoy system administration and designing infrastructure. 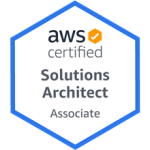 I love the cloud and have a lot of experience with AWS (even got certified to prove it). Designing scalable architecture is challenging and fun; luckily I’ve been able to make a great career out of it! Chef makes it more enjoyable and I get to use Ruby, which I never really thought I’d be happy about. I started off coding in PHP and building websites, mostly for local Djs, this evolved into a passion that I did for over a decade in industries ranging from broadcasting, healthcare, real-estate and debt-collection. Lately I have moved towards server management and solutions architect. I have a strong interests in security so this has lead me to designing more stable systems without sacrificing security, yeah… I do not disable SELinux. I know, scary right?! I have proposed, designed and implemented numerous security policies that have strengthened company security. I could go on and on about other feats I’ve accomplished and how great I am but writing about myself isn’t something I really like to do. So let’s discuss what I can do for you. Responsible for DevOps and SysOps. This included automating the infrastructure and using Chef for versioned designs. 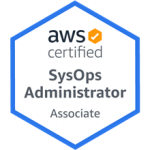 Managing all company AWS accounts and responsible for security across all systems and websites. Worked on WordPress websites for marketing, custom plugin development, and built APIs for third-party integrations. 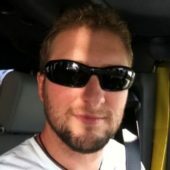 Roku development and team collaborations for designed microservices architecture. I ran the programming department, worked with the design team, and took on a lot of the IT directors’ workload. I consulted for outsource projects and company needs. I also worked on the core system the company depended on for its day-to-day operations. I improved algorithms to increase not only speed and memory consumption but also accuracy. I updated the company servers, software, and code to be up-to-date with the latest technology and security standards. Worked with teams daily, ranging from accounting to sales. I mostly worked on proprietary solutions but there were also many WordPress customizations for different services. Live script debugging, live development. Working to restructure the current development process as well as improving system security, functionality and ease of use. Designed two core platforms that are widely used on a national scale. New platforms are aimed at setting the standards for process server platforms. RSS Pieces / DevElement LLC. I implemented scalable architecture to a custom social media platform with high traffic. I increased and improved the system security by rewriting the entire core of the system. Originally, the system was vulnerable to XXS, session fixation/hijacking, SQL injections, and many more. When I left this company the system was running 500% faster and more secure. I was involved in rebranding the company and implementing policies. Started off doing freelance projects, mostly for local DJs in the area, then I progressed to building propriety software. Designed inventory management and reporting systems for an organic food distribution company based in L.A.. Most projects are consulting on infrastructure and/or websites and security. If you think I’d be a good fit for your team or are interested in hiring me for a project, don’t hesitate to contact me. If you are a recruiter, please don’t use this form but instead use my LinkedIn link below. I’m not much of a blogger but I sometimes have some thoughts I like to put down to help others or myself at a future date. Hope you find these to be useful.